Among the goals of BRICS and the SCO are forming a new model of economic development that is protected from risk, and discovering new sources of economic growth, Minister of Economic Development Alexei Ulyukayev said at the briefing on the prospects for economic cooperation within BRICS and SCO, which was held on 10 July in Ufa. "New institutions, such as the New Development Bank and the Contingent Reserve Arrangement, should form a channel to direct investments to address weaknesses hindering economic growth in our countries and, if needed, to reduce dependence on possible rapid capital flows in global markets," he said. At the same time, he said that the creation of a free-trade zone in the BRICS countries in a multilateral format is not yet under discussion. As for individual free-trade formats, work is underway. In particular, this idea is being discussed with India. "We have a lot to do, and the conceptual work has been started. However, we have not yet started discussing the extension of the bilateral format to a multilateral one - this is a matter for the more distant future," he said. The minister also considers the Eurasian Economic Union (EAEU) and China's plans for a modern Silk Road to be compatible, in particular, developing transport infrastructure, creating the East-West and North-South transport corridors, upgrading the Trans-Siberian Railway and adjoining lines, and creating the Moscow-Kazan high-speed railway, which will be part of the Moscow-Beijing railway. "We - China, Russia and Mongolia - are discussing the creation of powerful transport infrastructure (both rail and auto) and energy infrastructure in our countries to improve the flow of goods and services," he said. According to Mr Ulyukayev, cooperation is also possible between customs and other services in the interests of improved movement of goods and services between the countries and a more flexible tariff policy. The minister also expressed his opinion that the West's sanctions regime against Russia has not reduced but increased the interest of BRICS and SCO states in cooperation with Russia. "Our countermeasures, in particular the food embargo, free up certain trade niches, which many of our colleagues would like to fill. In addition, we are discussing the creation of supply chains and processing industries, which would be the result of our joint efforts and allow these niches to be filled," he said. 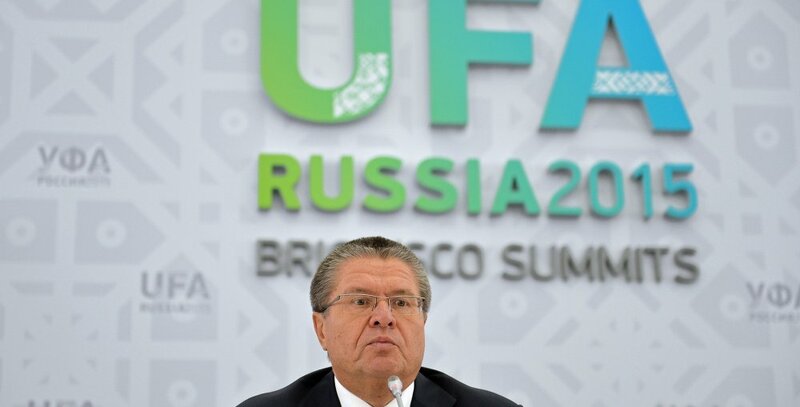 "BRICS and the SCO are future-oriented, 21st century organisations, especially with respect to investment and development," Mr Ulyukayev said.